You are more effective at managing your business when you are aware of the nuances as well as the letter of Texas business law. We believe it is our duty to provide education by explaining the laws and procedures that apply to your legal situation. Also, we have an extensive network of attorneys and other specialists with access to the tools needed to protect your business interests. Read answers to frequently asked questions about business law. Business moves quickly. We do the same. Decisions about business formation and tax structure, protecting financial positions, contract negotiations, whether to settle or litigate controversies. These issues require fast action when opportunities and challenges arise. A. Lewis Ward has earned a longstanding reputation for responsiveness and practices integrity in all relationships. 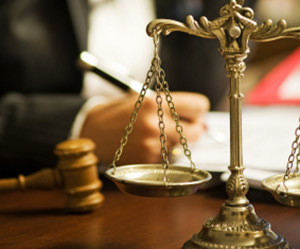 A. Lewis Ward & Associates employs up-to-date knowledge of the law with critical thinking and strategy, working hard to assist business owners, executives, and proprietors with the myriad of challenges that face business today. So, whether you’re forming a new business, facing commercial litigation, or somewhere in between, we can help. Keep your business safe. Contact A. Lewis Ward & Associates for a free consultation at (713) 961-5555 or email today.